The Olympic Archery in Schools program was founded by the Easton Sports Development Foundation to introduce Olympic-style archery at the grassroots level and to provide students with the opportunity to participate and excel in the sport. Quality instruction to beginning archers is the top priority of OAS. Instructors are typically teachers and receive a specialized course with an emphasis on form technique in the National Training System (NTS) used by the country’s top Olympic archers. Then those instructors teach archery to students during school. Archers in OAS benefit from one major advantage: from the very first day, they learn the form, training techniques, and mindset that Olympians use. Because NTS focuses on efficient biomechanics to improve accuracy, it may reduce the risk of shoulder, back, or other injuries resulting from poor form. Youth shooting archery at this grassroots level also benefit from an outstanding opportunity, as the fundamentals of NTS can take them all of the way to the Olympic level if they choose to pursue it. Because the National Training System is best learned when approached in a methodical way, students progress through very specific lessons which build on each other. Archers begin working with form straps, then stretch bands, and finally with bows. 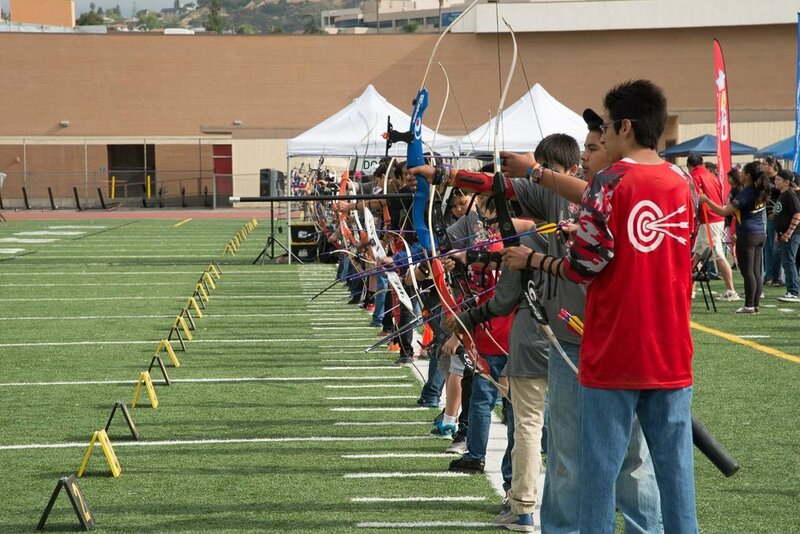 OAS provides each school with all of the equipment needed for their archery programs: Olympic-style recurve bows, arrows, targets, and other necessary gear. The targets they use are the ones used in tournaments hosted by USA Archery and are typically raised and situated in front of an arrow curtain. During the fall semester, OAS encourages schools to hold their archery classes either as a part of their PE curriculum or as an after school program. OAS provides instructors with a detailed curriculum that walks students through all of the basics. The syllabus also schedules time to teach students about competitive target archery opportunities such as the Junior Dream Team, the Youth Olympic Games, US Collegiate Archery programs and scholarships, and of course, the Olympic Games. Instructors use videos of tournaments and past Olympic matches to demonstrate different styles of competition and show archers how to overcome some of the challenges they might experience during a tournament, such as wind or background noise. The curriculum finishes with an annual Mail-in Tournament. Students may submit one score during the semester to participate in the tournament. This competition is a warm-up for the OAS competition season in the spring and is a fun way for students to compete with others from all over the country. The spring semester is the OAS competition season. Schools may join the OAS Archery League to compete with other local schools. In a format exciting for both archers and spectators, teams of 10 archers compete in head to head and team round matches to determine an overall winner. Finally, the season concludes with the State Championships. For a video and more information on ways to start an OAS program in your own hometown, visit OlympicArcheryInSchools.org. You can also stay up-to-date by following Olympic Archery in the Schools on Twitter or by becoming a fan on Facebook.